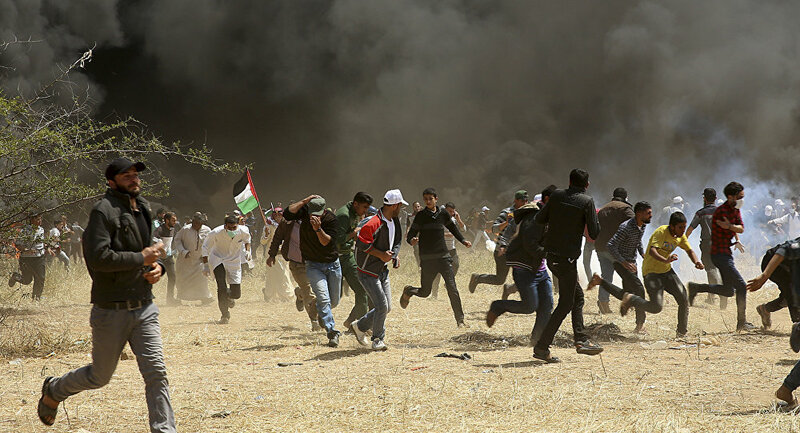 On March 30, Palestinians on the border between Israel and the Gaza Strip started a protest dubbed The Great Return March, which is expected to continue until May 15. Ibrahim Ghunaim, who is better known as MC Gaza, made a music video dedicated to Gazan journalist Yasser Murtaja, who was also his friend. He sings in the video: "Don't mourn the martyr, it is time for the flowers to be picked." "Israel thought if they kill us, they would end our existence … We will return, even if it takes us decades, we will return," MC Gaza continues. Palestinian journalist Yasser Murtaja was reportedly killed on Saturday after covering mass protests along the Israeli border.